Coming off of two straight Horizon League second team awards in golf, senior Jake Kneen has set his sights on the ultimate goal: Horizon League Player of the Year. For the past 19 years, Kneen has had his own set of clubs. Golf has been a central aspect of his life almost since birth. Last season, Kneen lead the team in stroke average with 74.28. 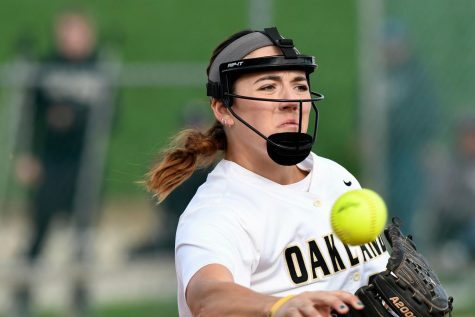 74.28 was 12th highest in Oakland history for single-season stroke average, but Kneen has cut that average down almost three whole strokes per round. With four tournaments to go in his final season, he has a stroke average of 71.83. Despite being a mainly individual sport, the golf team wins and loses championships based on the overall performance of all the golfers. 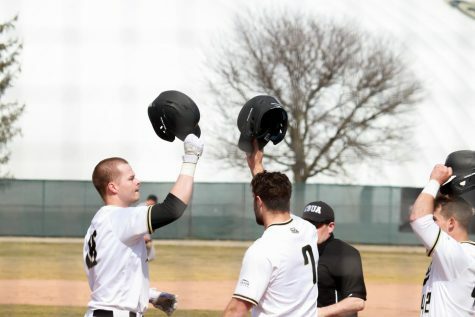 This year, Kneen believes the team can win the Horizon League Championship, mainly because of its depth, starting with the two freshmen on the team, Thomas Giroux and Sean Niles. 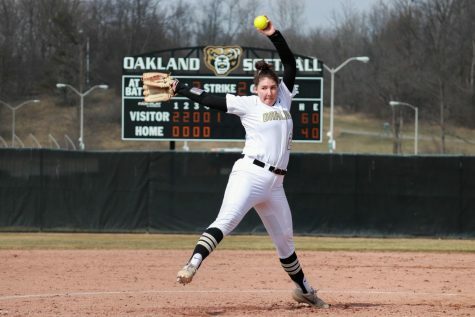 The previous three seasons, Oakland has finished second in the Horizon League Championship each year. Now as a senior, Kneen knows there is pressure on him to lead the team to a title. As a biomedical sciences major, Kneen has landed on the Horizon League Honor Roll for academics three times. Balancing a demanding major with a travel-heavy schedule has been a learning experience since coming to college. After receiving his degree in April, Kneen will look to become a professional golfer and land on the Professional Golfers’ Association (PGA) Tour.